It’s said that the best thing a celebrity can wear down the red carpet is her glow. 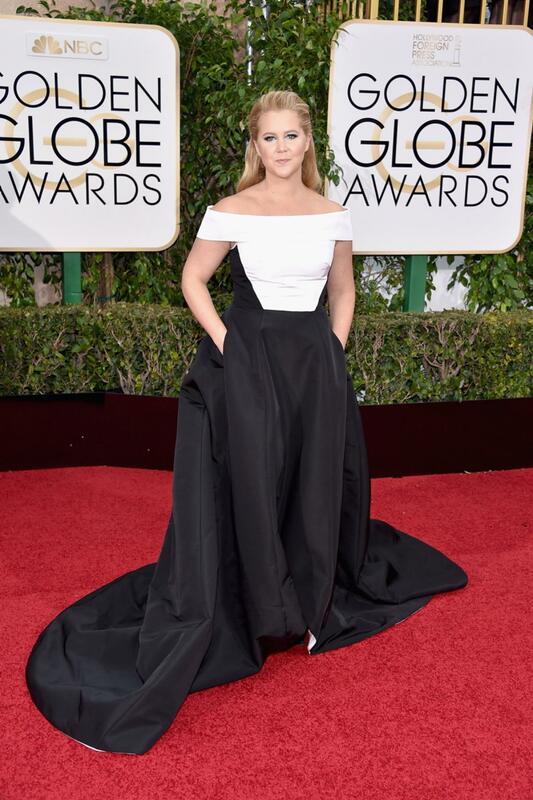 And at this week’s Golden Globes, the stars didn’t let us down. In fact some glowed so brightly they look like they had been plugged in. But then they most probably had from one of the many fat zapping, glow boosting treatments the stars undergo to get red carpet ready. The Golden Globes isn’t just about winning an award. It’s about winning on the red carpet too and even though the stars made it look effortless, there’s an awful lot of prepping going on behind the scenes. Golden girls, Jennifer Lawrence and Catrione Balfe’s are huge fans of The Triad Facial, an intensive 30-minute glow boosting treatment which leaves the skin poreless and flawless. Devised by Hollywood dermatologist Dr David Colbert, who erected a special pop up clinic to prep the stars ahead of the awards, the £700 three step procedure treatment combines exfoliation to get rid of dry flaky patches, laser toning using blue and red light to boost collagen followed by a light chemical peel using gentle lavender acid which gives the skin an instant glow. Ever wondered why the stars never seem to age. Their secret – micro jabs using a hyaluronic acid filler, which, can diminish the tiniest and most superficial of lines. These new fillers spread out evenly instead of clumping up like other fillers, so you don’t have to inject it deep into the tissue and the small particles and malleable texture make it possible to smooth shallow lines instantly while maintaining a bump-free surface. It’s perfect for filling in fine lines around the lips and crow’s feet and the result is immediate with no downtime. Many celebrities combine this with Sprinkles – microinjections of Botox all over the complexion – which refreshes the skin and also give the face a gentle lift at the same time. The results of this subtle approach can be seen around five days after treatment and will last for up to six months. The micro jabs are available here from most clinics but remember the skill is down to the injector From £200 Call 02074364441to book a consultation and treatment. *Make Up Forever Ultra HD Stick Foundation, £39 a multi action foundation in stick form which is used in the TV and film industry. . Compatible with 4K technology the formula is even more invisible and combines coated micro-pigments, a powder duo and a blend of emollients to give complexion perfection without the slightest flaw. Available in 15 shades from mid-January 2016 at Debenhams stores nationwide and online at www.debenhams.com. *This Works In Transit Camera Close Up, £30 , is an all in one mask, moisturiser and primer which will disguise lines and plump up skin creating a silky surface for foundation. Or smooth on Garnier 5 Second Perfect Blur £12.99 after your usual moisturiser – it diffuses light in all directions to instantly reduce the appearance of wrinkles and fine lines. Anything that reflects light will hide lines and make skin look more youthful so try adding a couple of drops of illuminator to your foundation .Try Kiko Silver Drops £6 90 which will give your skin an amazing high gloss glow. *Smashbox Camera Ready BB Cream £27 instantly smoothes skin to give a perfect canvas . Use after moisturiser if skin is dry available in eight shades boots.com . This entry was posted in Anti-Ageing, Ask the expert, Body Beautiful, celebrity, Harley Street Skin Clinic, Lesley Reynolds and tagged celeb, face lift, facial, facials, golden globes, Hollywood, j-law, jeniffer lawrence, lady gaga, power facial. Bookmark the permalink.